The Microsoft Exchange server is one of the most popular collaborative and messaging servers in the world. It is used by businesses and organizations utilizing Microsoft infrastructure solutions. The Exchange is basically the power behind all the amazing features of Microsoft Outlook. The best advantage of using Microsoft Exchange server is the high-level of security features of the software package. The server neutralizes security threats and thus, the users are protected against viruses, spam and hackers. Microsoft SharePoint is a complex system and has many capabilities. It would take weeks to highlight all of the features. In short, your organization is based on information - from email, website and managing document libraries - Microsoft SharePoint simplifies all of your company’s information and creates a one-stop shop. A collaboration and content management platform, SharePoint enables users to connect with each other and share the information across an organization. Blue Sky Technologies can help your company smoothly set up a portal that works as an easy to use data repository for information, documents, and more. From there, you can grant access to anyone from employees to shareholders and more while simultaneously maintaining internal control over the data. Businesses are turning to desktop virtualization in order to lower IT expenses, free-up IT technical resources, manage risks effectively and lessen downtime. Desktop virtualization software separates the physical machine from the software and presents an isolated operating system for users. 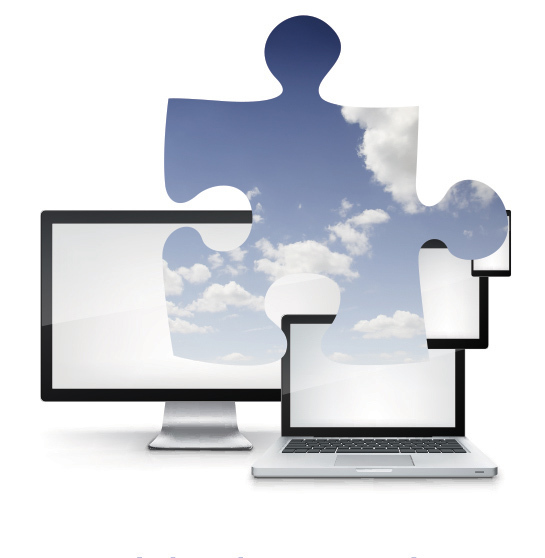 Desktop virtualization tools include Microsoft Virtual PC, VMware Workstation and Parallels Desktop for Mac. Blue Sky Technologies specialist will ensure that you are using the full power of VMware and you will have a team that provides network auditing and maintenance services that will keep your network running smoothly. Disaster recovery of crucial data and restoration of IT services is one of the core recovery processes necessary in a full business continuity plan. Having detailed plans to recover critical data following a disaster is crucial for any organization. Implementing a plan could easily mean an organization's survival or demise. A system threat can be the result of a major catastrophe or a virus from one computer in a system. 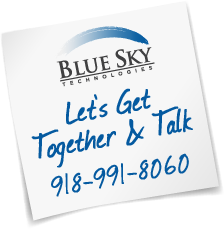 Blue Sky Technologies offers our partners assistance in developing an IT plan for the organization's overall business continuity. A continuity plan should be a consistent approach to protecting crucial data access, continued function, website and/or application.